Everyone looks forward to Lunch, lunch is a luxury that we dont’s always make time for. or Chicken , a beautiful deli sandwich buffet with hand carved pastrami and corned beef. Or a complete salad bar with fresh organic vegetables and a choice of dressings served right in your office lunchroom. We can provide lunches everyday brought in cooked fresh and served hot or cold. We have special menu’s for every type of weather and a full pantry box with healthy snacks for you to munch on through out the day. Sometimes keeping it fresh is not easy. Keeping all of your employee’s happy can be a chore. We offer a rotating schedule of delicious food with new menu’s quarterly to keep the food interesting, fresh and fun. Please give us a call and we can sit down with your team and make sure they are getting the delicious meals they deserve at lunchtime and nobody has to hassle with going out for food every day. Email us at Events@nourishcatering.com for a consultation about our lunch programs. Employees need a simple way to eat at the office .They want fresh good food at thier fingertips so they can stay in the office and not have the hassle of going out for lunch. We can also do Corporate Lunches for your executive team. We can service meetings through out the day, we have a full catering kitchen in Seattle Capitol Hill area ready to deliver and set up in Seattle and the Eastside . We not only do lunch we have a full menu for every kind of event you need for your corporation. 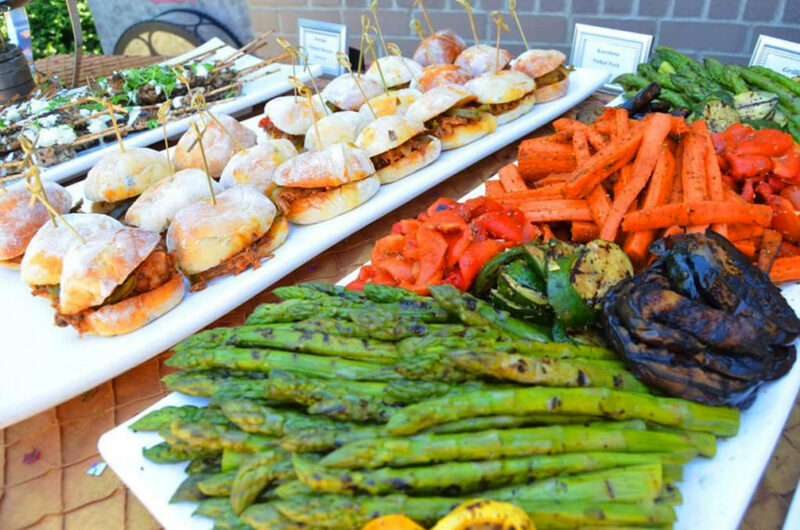 Nourish can serve from 50 to 1000 people comfortably with fresh food stations that are interactive making the food portion of your meetings fun and inviting.